Marudhar Poly Sacks started its operation in the year 2004 as manufacturer and wholesaler of Bags & Sacks which comes in varied specifications. 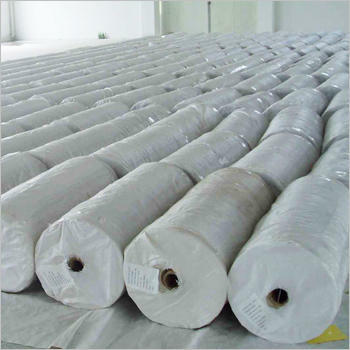 Our range of products includes Woven Sacks, Woven Bags, Plastic Cover and many more. Developed with the raw materials sourced from vendors who are acknowledged for delivering superior raw materials. The materials we acquire are tested and certified which makes our range long lasting, dependable and overall sustainable. After an extensive research, we select the vendors and after procuring them, we at our end conducts a quality test. In an endeavor to meet the client specification and requirement, we also deliver customized products. The specifications of these products are then taken from the clients so that the products which we offer meet their expectations and satisfaction. We are backed by a team of experts and a high-class infrastructure who are proficient in this field and puts in their efforts in bringing out an exclusive range. Through the range of superior quality of products, we have gained a respectable and recognized name in the industry among the clientele. Subsequently, we have always followed a business policy which is ethical and despite any situation, we pay emphasis on quality and customer satisfaction. The offered products come with an excellent finish, superb quality and acclaim for its performance. We are a performance oriented organization and over the years we have been to able to maintain it.